Our goal is to educate our patients about chiropractic and other natural solutions to common health problems. With this knowledge, our patients can take a more active and responsible role in keeping health – for yourself and your family. As a chiropractor, we know, though the diagnosis may be the same, that each patient responds differently to treatments. And for this reason, we tailor a specific action plan to meet your needs, goals and unique medical and physical condition. Finding a chiropractor who understands changing health care needs and understands the most current techniques and approaches to addressing health problems can be a daunting task. We hope that you will find this site helpful in learning more about our gentle chiropractic care, as well as the ways that it can help improve the quality of your life. Dr. Hae Yong Chung is a licensed Chiropractor in the states of Virginia, Illinois, and Wisconsin. He is a graduate of New York University with a Bachelor of Science Degree in Accounting, Finance, and Management. He went on to earn Doctor of Chiropractic Medicine degree from National University of Health Sciences in Lombard, Illinois. 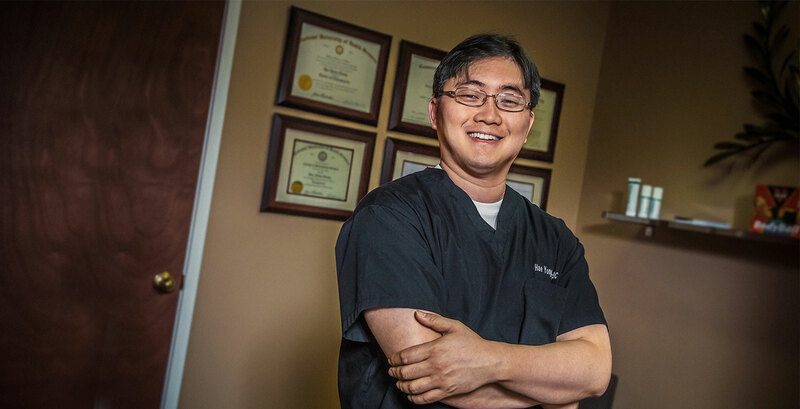 Before pursuing his Chiropractic degree, Dr. Chung worked as a Financial Manager for a Fortune 100 Company. 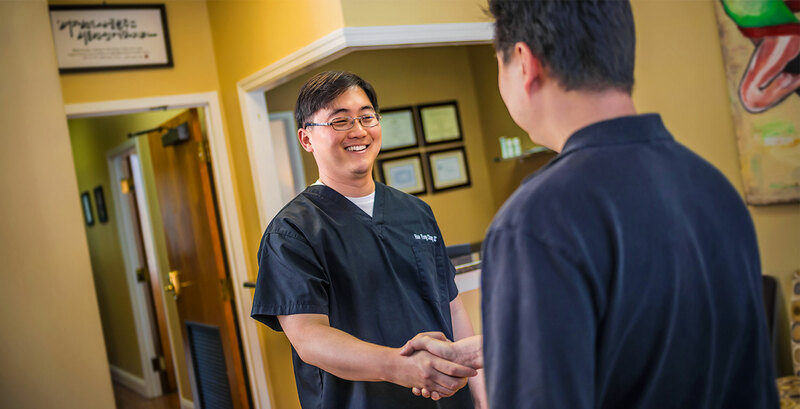 As a Chiropractic physician, Dr. Chung is committed to promoting the health and well-being of his patients. Dr. Chung uses a whole person approach, where he listens to the patients to determine the underlying causes of the patient’s condition. He works with his patients to treat the symptoms, as well as recommending changes and interventions to promote a healthier lifestyle. 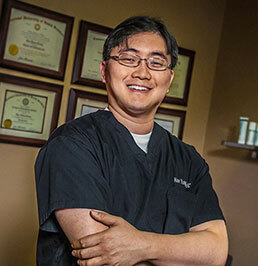 Dr. Chung has been married for over 10 years and enjoys spending time with his family and his dog. He also enjoys golfing and watching baseball.